In the previous weeks, OnePlus and Cyanogen Inc had gathered a little heat which persuaded the OnePlus One manufacturer to Develop its own Custom ROM. 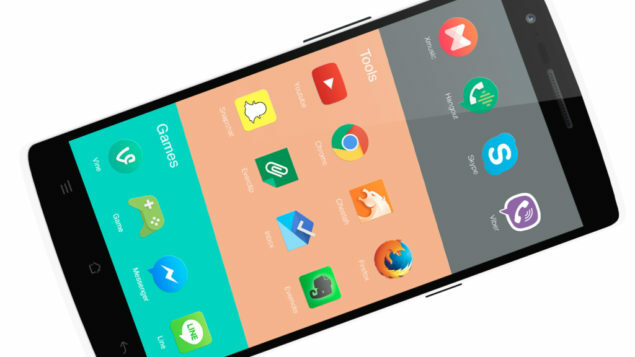 The whole point of developing the OxygenOS was not to rely on Cyanogen Inc for CyanogenMods. Since, OnePlus developed its OxygenOS from scratch, it merely came in the form of a downloadable upgrade instead of over the air (OTA) mechanism. So many of the users have installed OxygenOS on their OnePlus One handsets but there aroused a bit of a problem. After flashing the OxygenOS to the OnePlus handset, users have experience that their root access has been lost. Yes there is a fix to it and we will get on it in a while. Even though the OxygenOS is based on Android 5.0.2, a lot of things seem to work perfectly. However, the SuperSU, which is compatible with KitKat does not respond sometimes because of the lost root access. So what we’re going to do today is show you some steps to regain root access on your OnePlus One after flashing the OxygenOS. Lets get in to it. Before we begin the steps, do consider some of the formalities mentioned. First od all you need to Download SuperSU version 2.48 from the link. Copy the ZIP files into your phone’s storage. Also do make sure that bootloader on OnePlus One is unlocked and should have TWRP installed on it. Yor OxygenOS should be of the latest version, if its not, check for updates and update it. USB drivers for the OnePlus One should be installed on your PC for easy sending and receiving of data. Lastly, back your data up for any technical issues that might arise. Go to settings of your device to enable developer options. This will disallow OxygenOS’s personal recovery to show up while accessing thr recovery mode. You can do this by going to Settings >> About Phone >> Repeatedly tap on the build number until a developer message pops up. Now return to settings again, navigate to the Developer Options and locate ‘Update OnePlus Recovery’ Uncheck the box and you’re set to access the host recovery of OnePlus. Start by shutting down your device and reboot it in the recovery mode. You can access the recovery mode on your OnePlus one by pressing and holding the Power and Volome Down button together. Over here, you will see a TWRP screen and all you need to do is press the Install tab and then navigate to the folder where you saved the SuperSU on your device storage. Select the SuperSU file and swipe to confirm installation. It might take a while for the root installation to complete, so it is advised to keep at least 80% of battery life in case the operation gets stuck. Moving on, the moment you see a ‘Successful’ message on the display, click the Wipe Cache and Dalvik option. Your OnePlus One will reboot and wake up to rooted OxygenOS. That’s it folks. You now have a root access to your OnePlus One running the Oxygen OS. If it helped, let us know in the comments section. Do stay tuned for more news and guides.